The truth is, there are hundreds of companies out there that find it difficult to achieve optimal productivity within their team. There are certainly many ways to boost speed or increase workforce numbers, but those aren’t guaranteed methods for productivity. If anything, they lead to exactly what you might expect; more workers to pay for and faster (not better) production. There are certainly a lot of productivity tools available out there as well, but they are just one element in the equation. 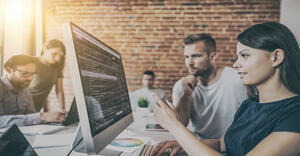 Other than having the right tools, you also need an extensive, comprehensive system wherein your developers can get the most out of their work hours and to reach all of their goals as a team. 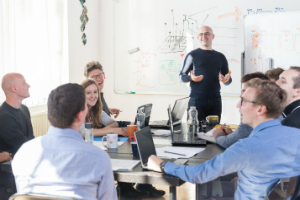 Development and training are both proven forms of encouragement and education that are conducive to overall employee satisfaction and productivity. The problem is that a lot of traditional companies still prefer to have their employees learn new skills and techniques in their own time, using their own money. As their employer, providing continuous education for your software development team tells them that you’re willing to invest in them. This, in turn, validates their value as long-term assets to the company rather than just employees. Providing training will also improve their current skillset, which you—as their employer—can greatly benefit from in future projects. By having a mentorship program, you can mold the developers on your team to become better at their craft while simultaneously endorsing their own personal growth and contribution to your business. What if you just can’t afford to train your employees? There are still alternatives, of course. For instance, conducting internal training sessions. You can also grant your employees off-time or free days to do self-education. After all, people who get better at their jobs are more productive than those who don’t. For developers, the “flow” is the state where they feel the most productive and focused on their tasks. A large part of their work is accomplished when they’re in this state. So how do you get your people into this magical state of increased productivity? There are a number of ways, however the key thing is getting to know your team and coming up with a work environment that promotes focus. Clear out any distractions. Programming requires long hours of intense concentration. Most managers are aware of that but they fail to realize that they also play a role in helping their team focus on their task. Distractions in the office can take all kinds of forms including requests for progress reports, instant messages, email, or even goofing off. Changing the way you communicate with your co-workers can be a wonderful start. Instead of relying on instant messaging for time-sensitive matters, you can encourage face-to-face interactions. You can also ask your team to keep their emails closed for a huge part of the day to promote focus. Use private offices for your team members if you can in order to avoid any distractions from the area surrounding them. Give employees flexible working hours. Have you noticed that people who are generally more productive in the morning tire easily later in the day? Meanwhile others get into the groove of things once the night time comes. This is perfectly normal, as individuals have different routines and different times of optimal productivity. Finding that one specific time of day where your employees are most productive is very crucial. As a manager, you can accommodate this and create happy, loyal employees by allowing flexible working hours. Say yes to headphones. There are people who are capable of drowning out any background noise in the office to focus on their work. However, there are also individuals who get easily distracted. If you allow them to plug in their earphones and listen to some music, chances are their productivity will skyrocket. Another proven way to increase and maintain productivity among teams is working in sprints. That’s the reason why you often see it in project management methodologies like Agile. Agile is an efficient and time-effective way of working because it places your software development team in a test-driven environment. They are encouraged to reduce technical debt and create better code. Following this approach, working in sprints also lets you measure your team’s performance and make changes if needed. It’s important to define specific, measurable, achievable, realistic, and timely goals for your whole team to work towards as a unit. For instance, in the case of software development teams, the overarching goal is to produce a program, software, or app. However, you also need to break up that one big goal into smaller, bite-sized goals that individuals on your team can work towards every week. We highly recommend having 1-on-1 individual goal setting talks with your software developers at the start of every project. Describe the goal again, outline the priorities and requirements, and then work with them to figure out how they can contribute. Having a personal goal that they can work towards can greatly boost productivity because it gives them a closer finish line to focus on. You can also check in with them when every milestone is reached to exchange feedback; what they found difficult, what you noticed about their work, what can be done to improve areas that may need improvement, etc. 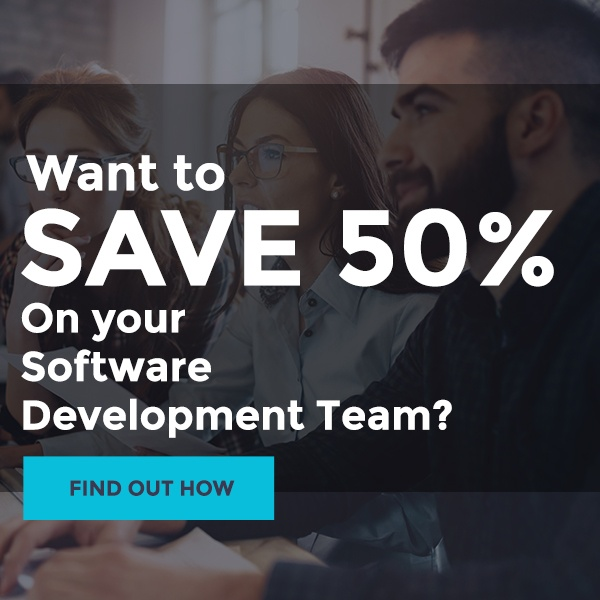 It is possible to boost your software development team’s productivity without micromanaging them and without recklessly spending resources. Micromanaging only further blocks productivity. It’s important that your employees feel they are an individual with value rather than just another cog in the corporate machine. Working in sprints, minimizing distractions, offering continuous education, and providing individual goals are just some great ways to effectively improve overall productivity.